These Gluten Free Chocolate Cookie Bars have a dense cookie base with chocolate and coconut on top! They are gluten free, vegan, nut free (except for coconut), and lower in sugar than the original recipe. Hey guys, I think I’m on a roll this week with recipes: 2 recipes in 2 days! That doesn’t happen very often 😉 I’ve actually hit upon a great way for me to get more recipes onto the blog: create several recipes on the weekend, photograph them all at the same time (big time saver! ), and then publish them here and there according to my schedule. 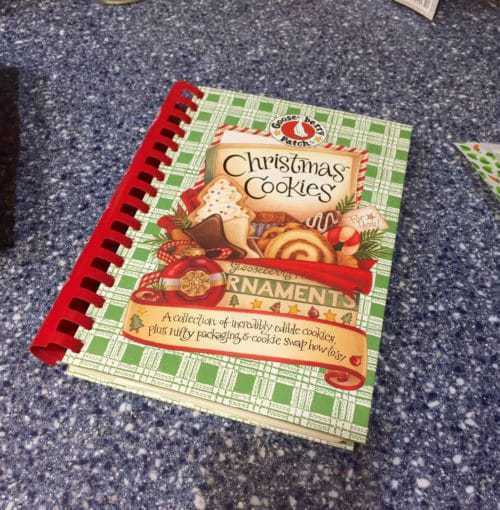 For this Recipe Redux, I got out my Gooseberry Patch Christmas Cookies book and went to work. I decided to re-create the Aunt Ownie’s Chocolate Bar recipe on page 102 (submitted to Gooseberry Patch by Wendy Lee Paffenroth). For this redux, I increased the batch just a bit, reduced the amount of sugar, and made these gluten free and vegan, and I replaced the chopped nuts with coconut on top. It took me a couple batches to get the new recipe just right, but these bars turned out amazing! My kids dove right into these, and my picky husband liked them, too. 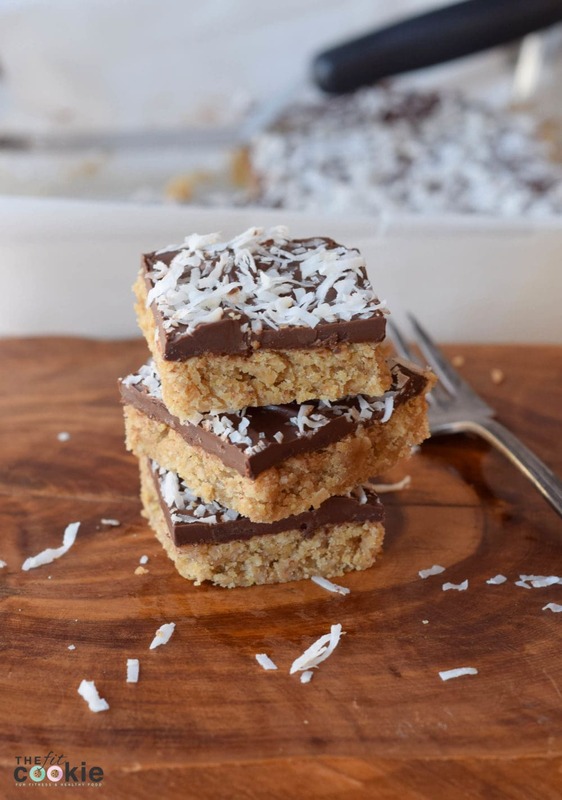 If you’re not a big coconut fan, you can always use chopped nuts if you can have them, chopped seeds (like sunflower or pumpkin seeds), or leave the toppings off altogether and just enjoy the bar itself. 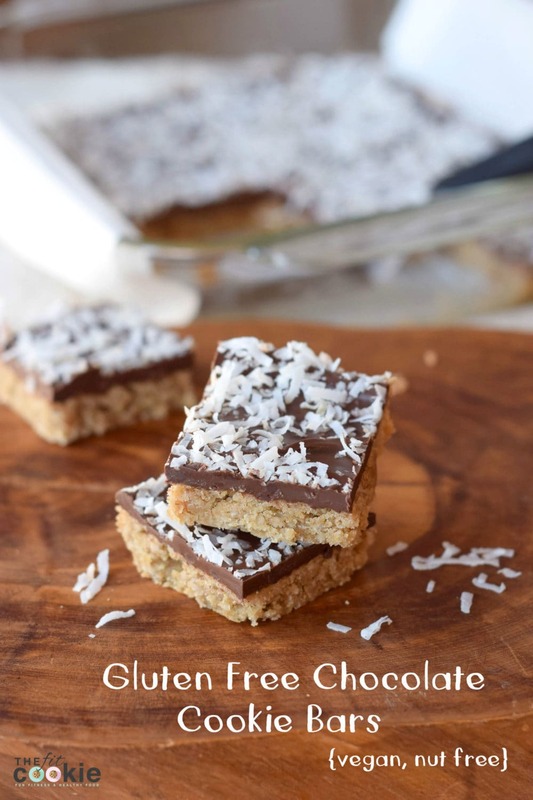 I like the slightly crunchiness of the coconut on top, but you can leave it off if needed! 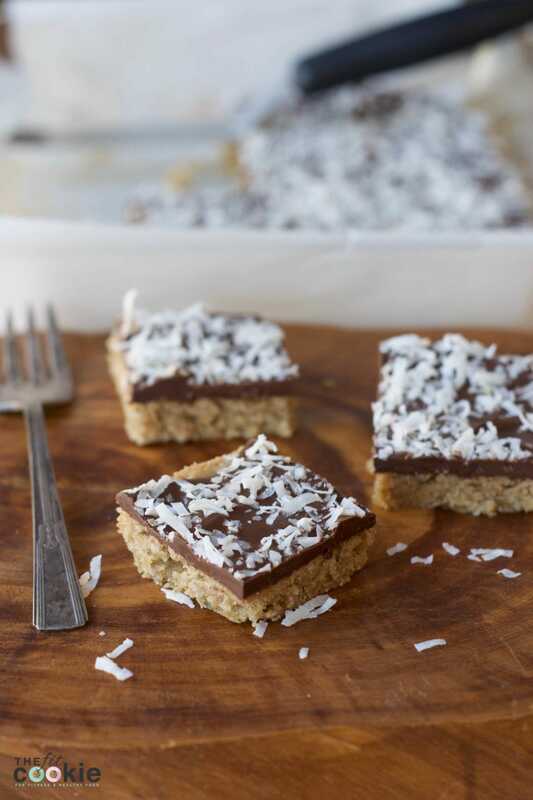 In case you don’t want to use stevia in this recipe (some people like my sister are actually sensitive to it), you can skip the stevia and use all sugar in these bars with good results.